New book about the international adventures of working film crews making a living in the fascinating, unpredictable, sometimes dark, often comical world of the film and video business, as they overcome numbing jetlag, deal with personal and professional challenges, and sometimes gain a deep sense of satisfaction. Bill’s writing has the quality of a warm beverage on a cold day: smooth, comforting, welcoming. His words flow, his stories build, and before you know it you’re laughing along with him or feeling his pain. Part armchair travel book, part personal memoir, Bill Zarchy’s Showdown at Shinagawa: Tales of Filming from Bombay to Brazil takes readers inside the international adventures of working film crews making a living in the fascinating, unpredictable, sometimes dark, often comical world of the film and video business. Showdown at Shinagawa features 18 tales—from Japan, India, China, Uganda, the Philippines, New Zealand, France, Singapore, England, Taiwan, Mexico and Brazil—and 21 pages of color photos, the rich experiences of a director of photography whose assignments have taken him to 30 countries and 40 states. The book is available on Amazon now as a 216-page paperback (with 21 pages of color photos), and in Kindle, Nook, and iBook versions. Showdown at Shinagawa is funny and poignant, adding serious, silly, and sardonic perspective to Zarchy’s adventures shooting on the road. He and his crews overcome numbing jetlag, deal with personal and professional challenges, and sometimes gain a deep sense of satisfaction. And … every day is different. "Bill’s writing has the quality of a warm beverage on a cold day: smooth, comforting, welcoming," says Larry Habegger, Executive Editor of Travelers’ Tales, in his Introduction to the book. "Reading his work makes you feel you’re engaged in a conversation, that he’s talking to you and bringing you into his world and gauging your responses. His words flow, his stories build, and before you know it you’re laughing along with him or feeling his pain." Habegger continues: "In this volume of tales about his filming experiences around the world, Bill takes us behind the scenes of international film production […] Everywhere he turns he encounters cultural illuminations or obstacles […] His stories are peopled with characters, whether his production team cronies, the subjects of their shoots, local hires, or people met along the way […] He even makes a personal connection with Bill Clinton over the loss of their dogs." Zarchy brings us along for the ride on a darkly funny bus trip down the deadly Bombay-Pune Road in "Wrecks and Pissers," drags us through the disorienting milieu of Singapore’s high-tech cleanrooms in "No Worry, Chicken Curry," faces a surreal Tokyo bowling-for-budget match in the title story "Showdown at Shinagawa," and shares the challenge of filming former President Clinton while dealing with family tragedy in "Dog Years." And so on, across six continents, over three decades of his work. Sometimes he deals with famous people—Clinton, Steve Jobs, and Morgan Freeman—more often with ordinary folks. Despite the numbing jetlag, cultural disorientation, frustration with clients, and unpredictable weather that are an inevitable part of international film shoots, Zarchy maintains his sense of humor and the ridiculous, and a strong belief in the warmth of people all over the world. Working with crew people and clients from everywhere, he has developed a fine ear for dialogue, a witty style of storytelling, and a keen insight into the dissonance that often occurs when cultures clash. 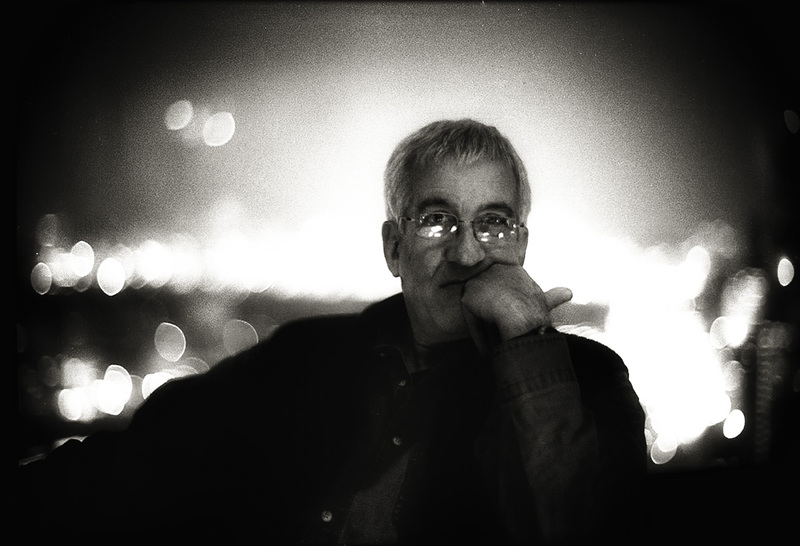 Bill Zarchy is a freelance director of photography, writer, and teacher based in San Francisco. He has shot film and video projects in 30 countries and 40 states, including interviews with three former presidents for the Emmy-winning West Wing Documentary Special. Other credits include the Grammy-winning music video Please Hammer Don’t Hurt ‘Em, the feature films Conceiving Ada and Read You Like A Book, the PBS science series Closer to Truth, countless high-end corporate projects for a wide variety of technology and medical companies, and live musical performances as diverse as Wagner’s Ring cycle, the Grateful Dead, and Weird Al Yankovic. Zarchy's tales from the road, technical articles, and personal essays have appeared in magazines and newspapers, Travelers’ Tales and Chicken Soup for the Soul anthologies, and on his Roving Camera Blog. For a number of years, he has belonged to the San Francisco-based writers’ collective Townsend 11 and has contributed stories to each of their first three anthologies: No Fixed Destination, No Set Boundaries, and No Definite Plans. Zarchy has an AB in Government from Dartmouth and an MA in Film from Stanford. 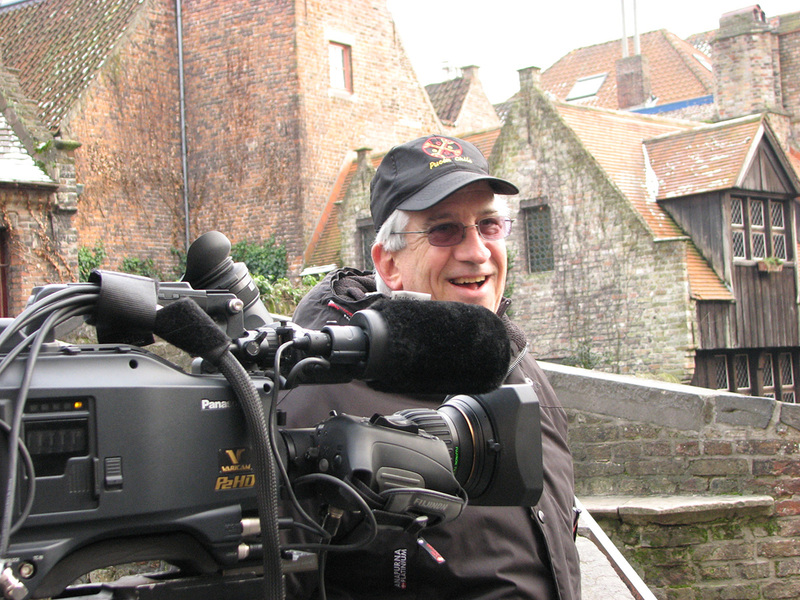 He has taught Advanced Cinematography and Lighting to graduate students at San Francisco State University since 2002. Showdown at Shinagawa is his first book.